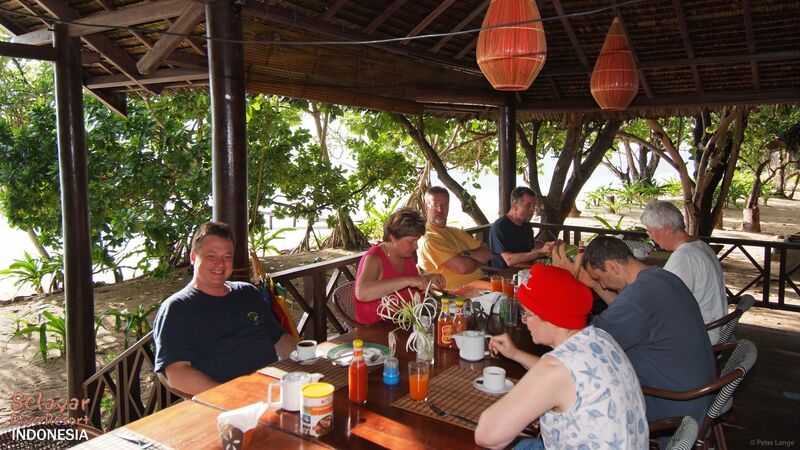 Click on the Pictures to enlarge Images: Then Click F11 for Fullscreen! 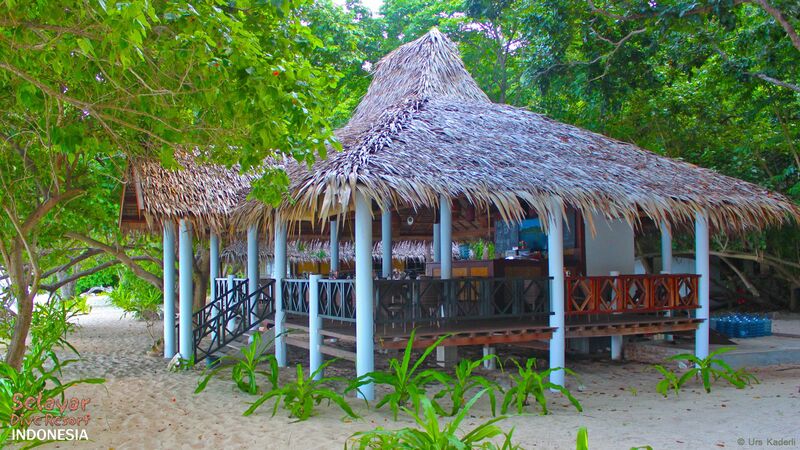 Beach Resort Indonesia south Sulawesi Images and photography from Selayar Dive Resort Selayar Island. 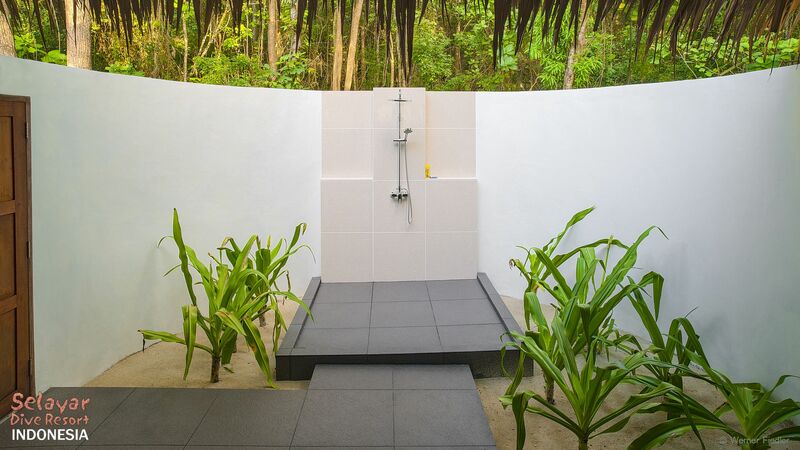 The beach resort in Indonesia was planned and built by us without international influence – we made every effort to conserve the natural beauty of the surroundings and integrate the resort into the marvellous scenery of our one kilometre long white sandy beach. 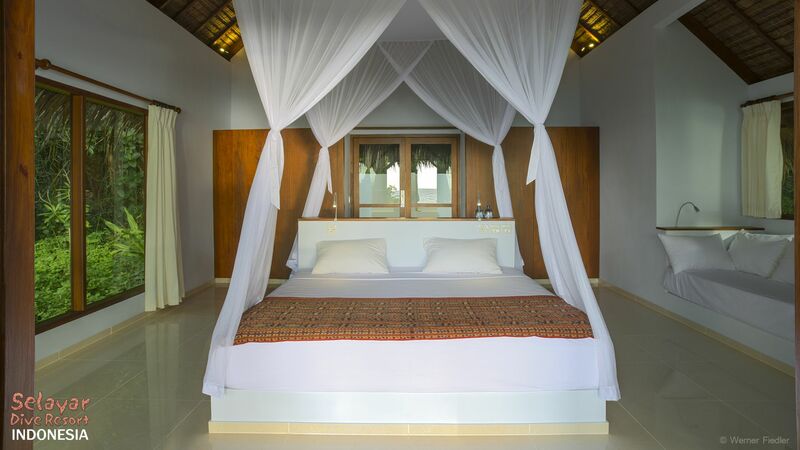 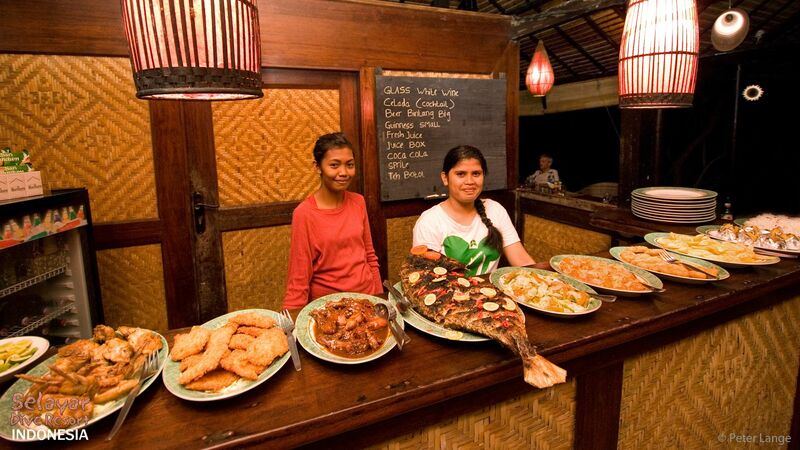 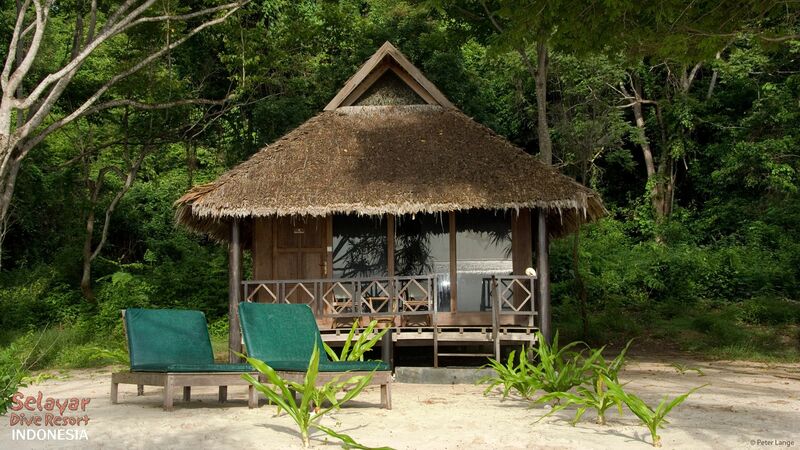 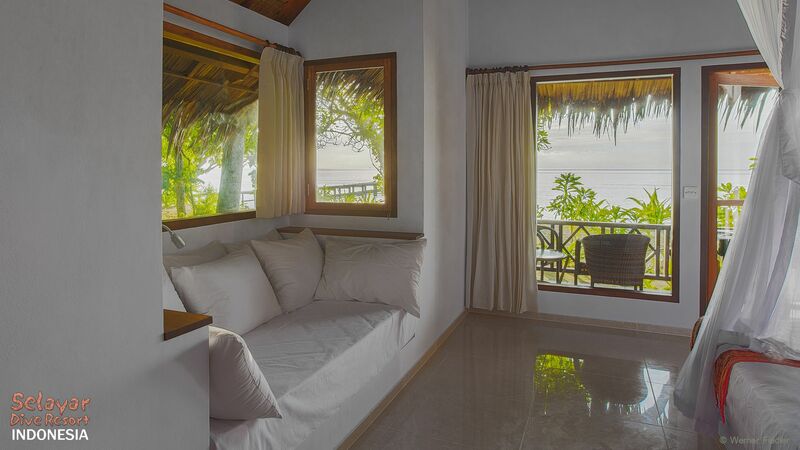 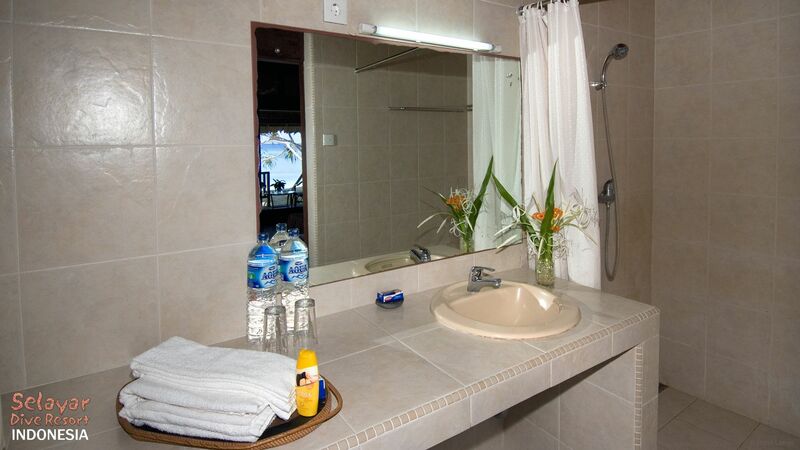 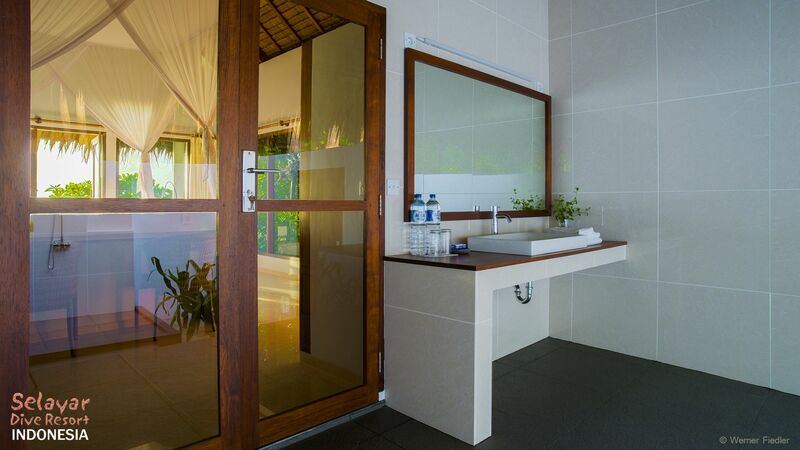 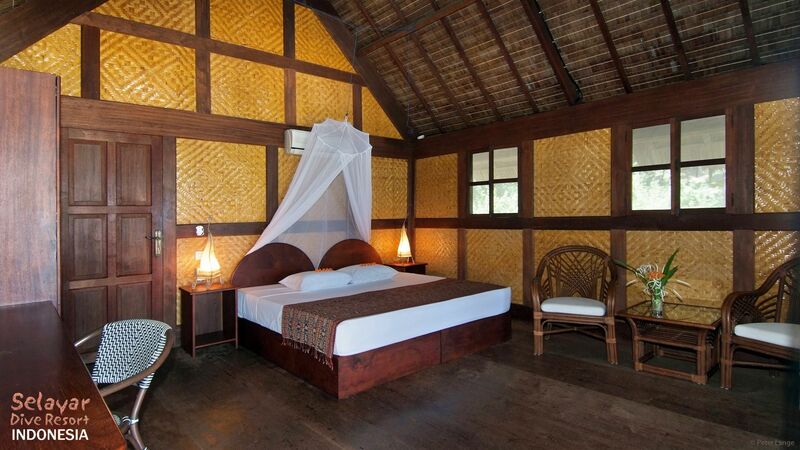 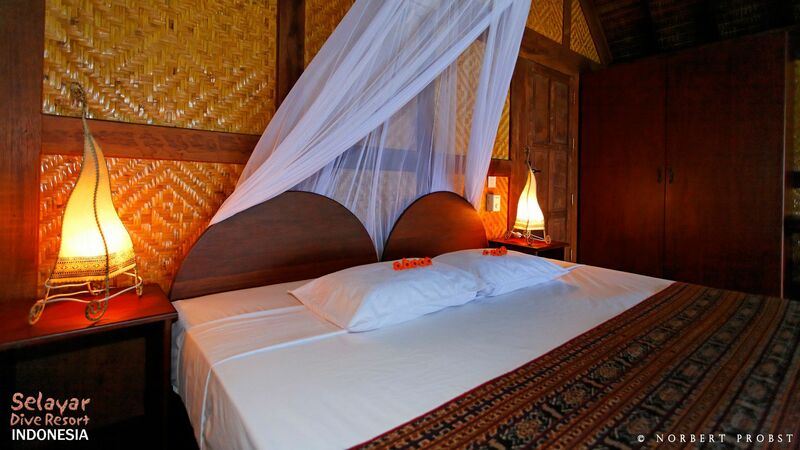 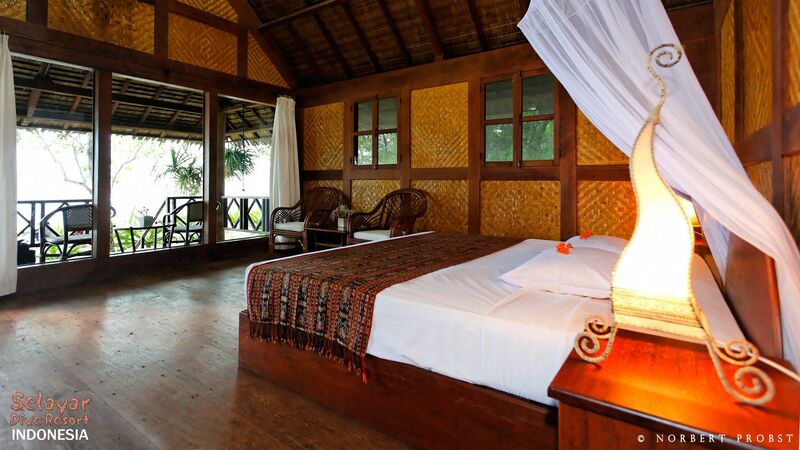 The white sand beach bungalows have been built in a traditional Indonesian style using local raw materials and perfected with western know-how. 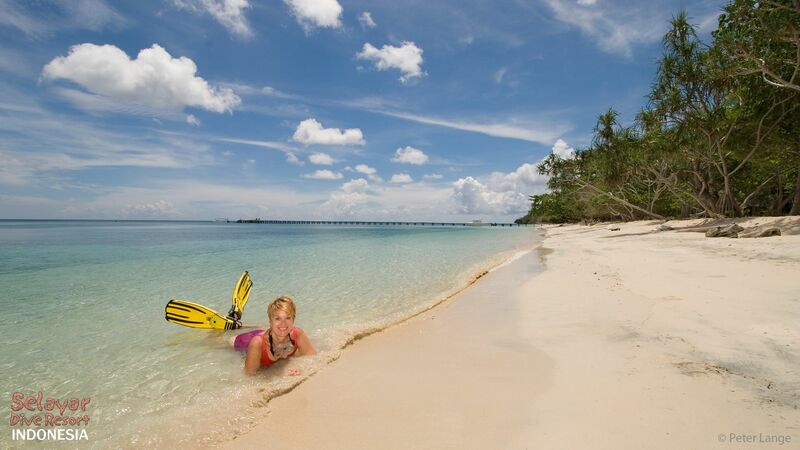 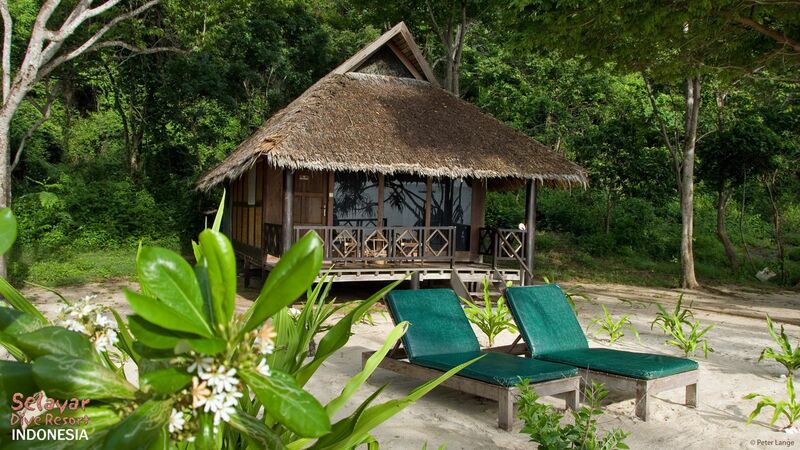 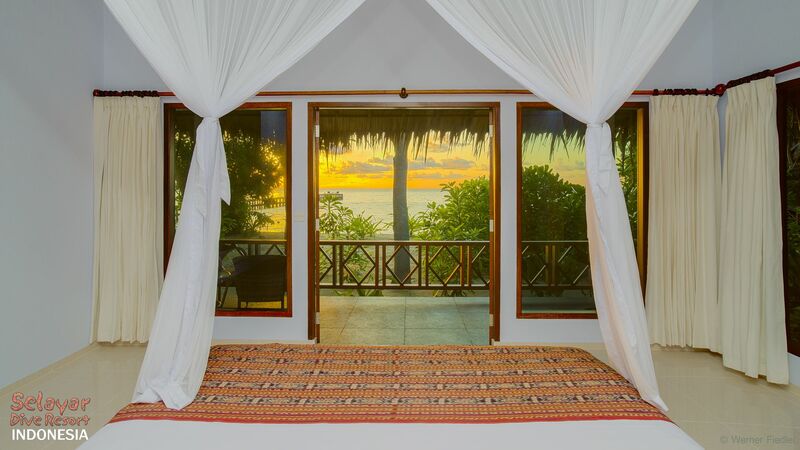 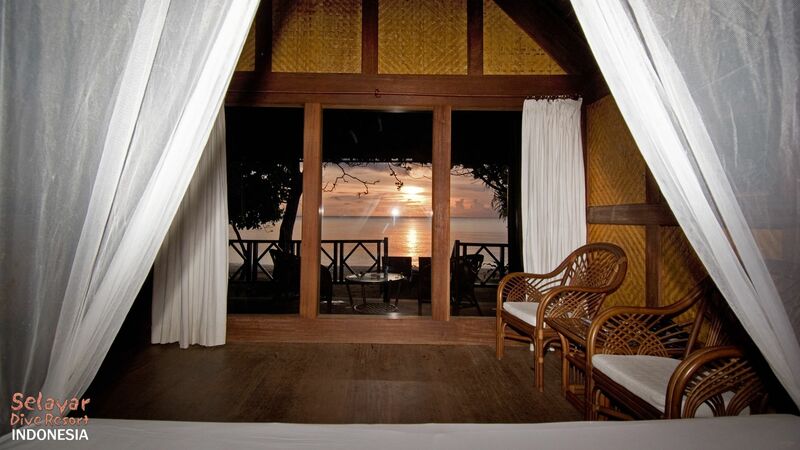 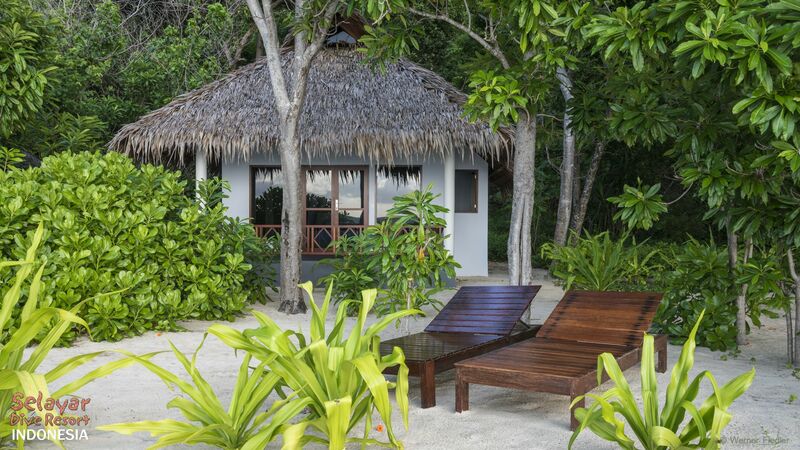 Each one stands in its own secluded grove of trees and has its own section of private beach. 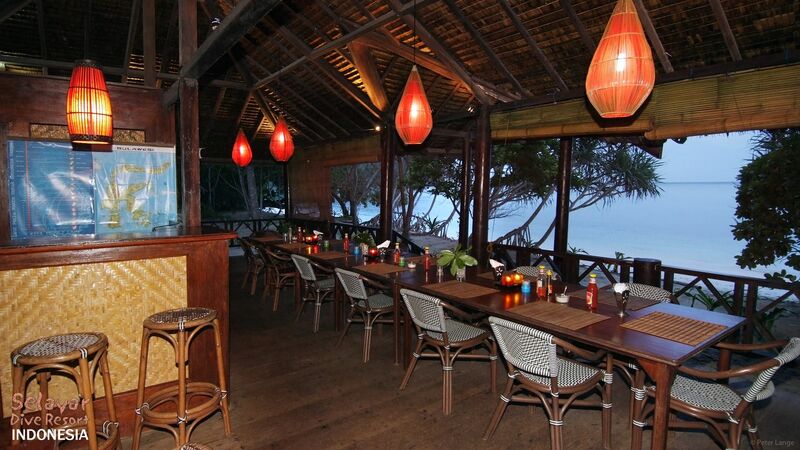 No holiday would be perfect without excellent food and a place for relaxation. 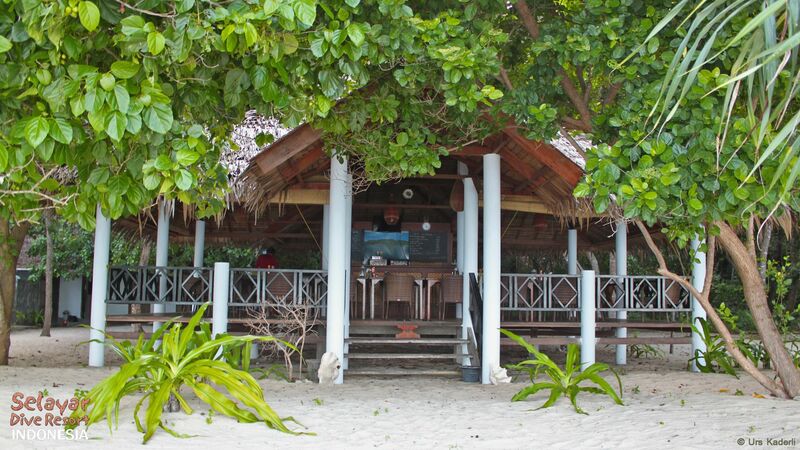 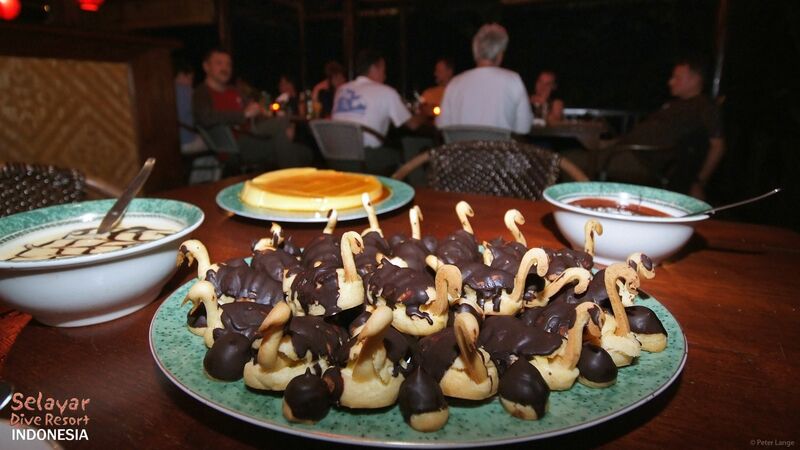 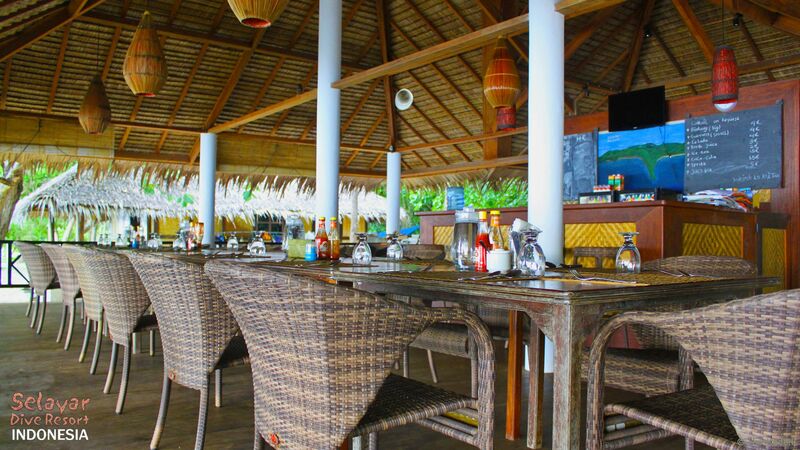 Our beach restaurant is the heart of the resort. 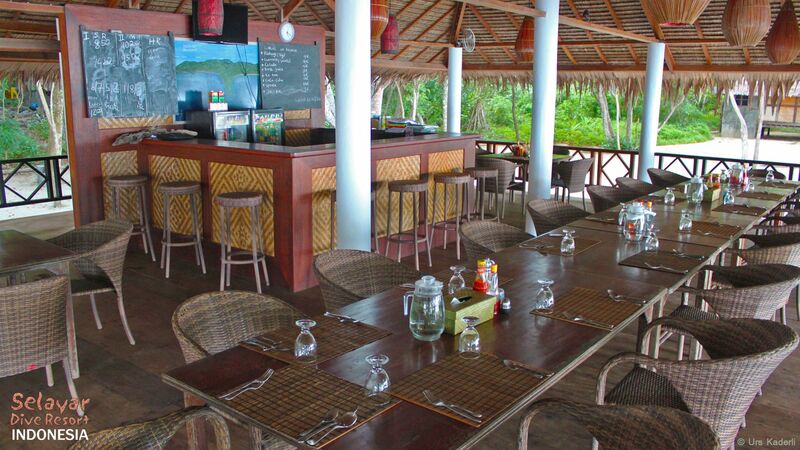 Not only do guests meet here for breakfast, lunch and dinner on the big veranda but at night they can also enjoy cocktails at our small bar – served by the boss himself. 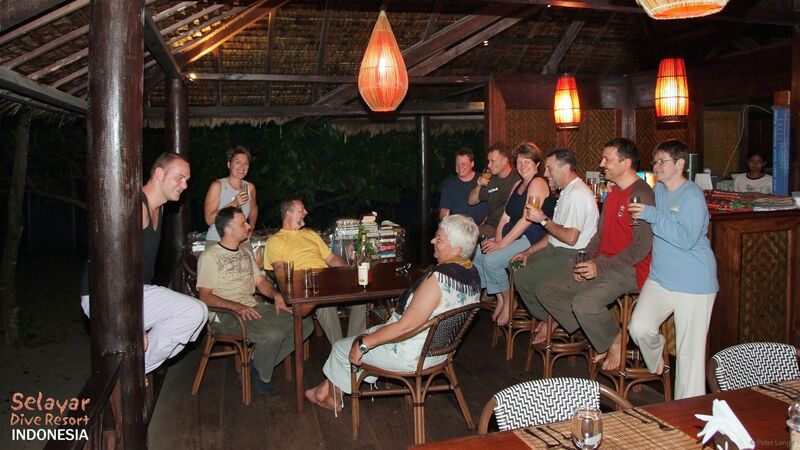 Guests are also welcome to bring their own liquors if they wish! 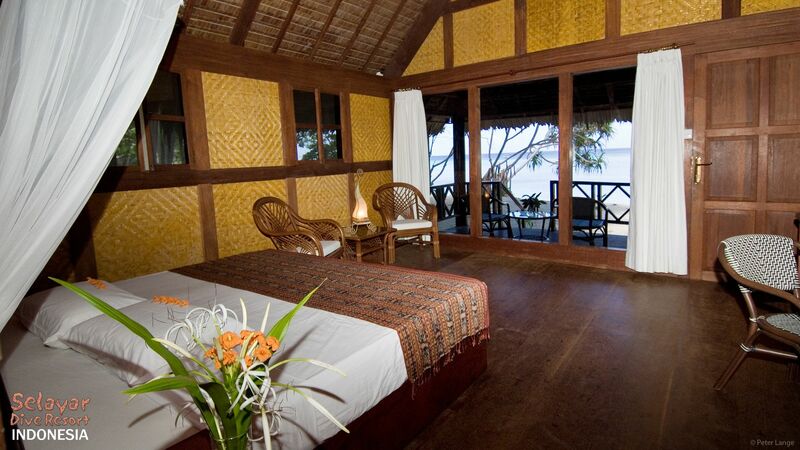 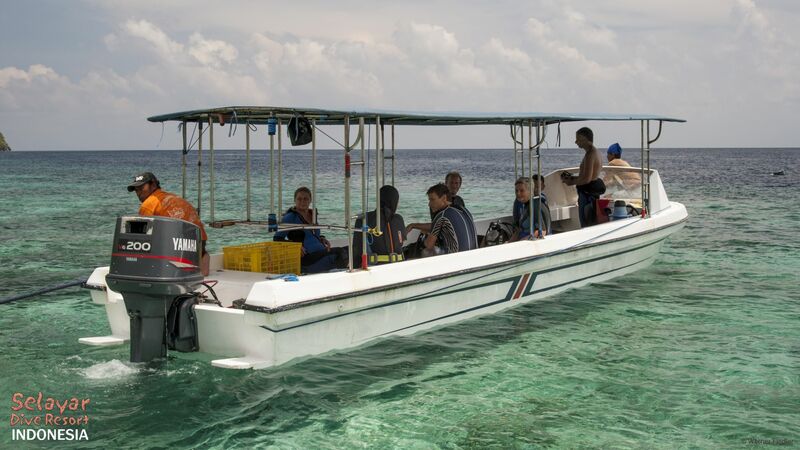 In fact, our eco resort in indonesia can only be reached by boat. 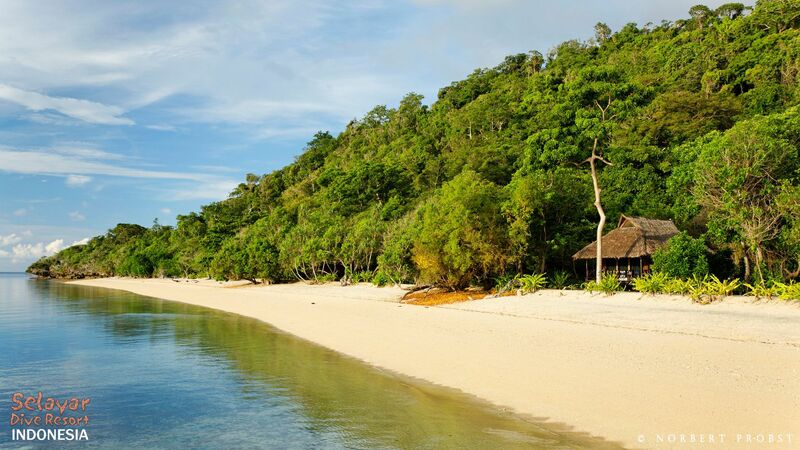 From the open sea as one arrives, the landscape and rain forest show off their natural beauty. 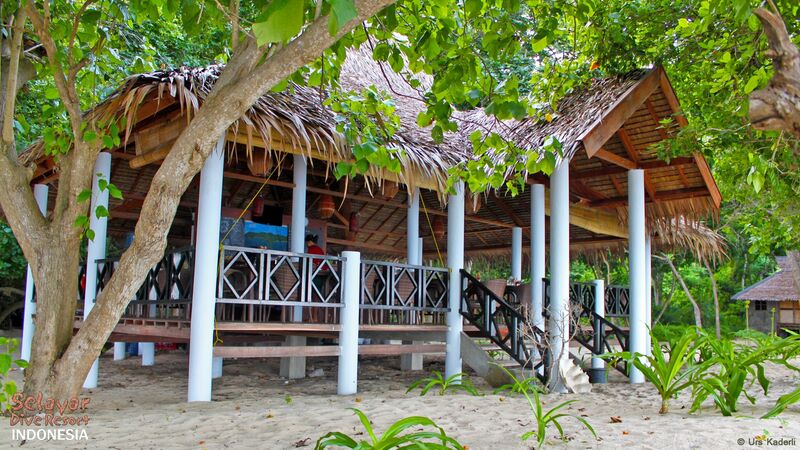 Our Beach Resort in Indonesia has also been recognised as one of the top 10 eco dive resorts in Asia by Scuba Diver Australasia Magazine.